I’m totally not crafty. 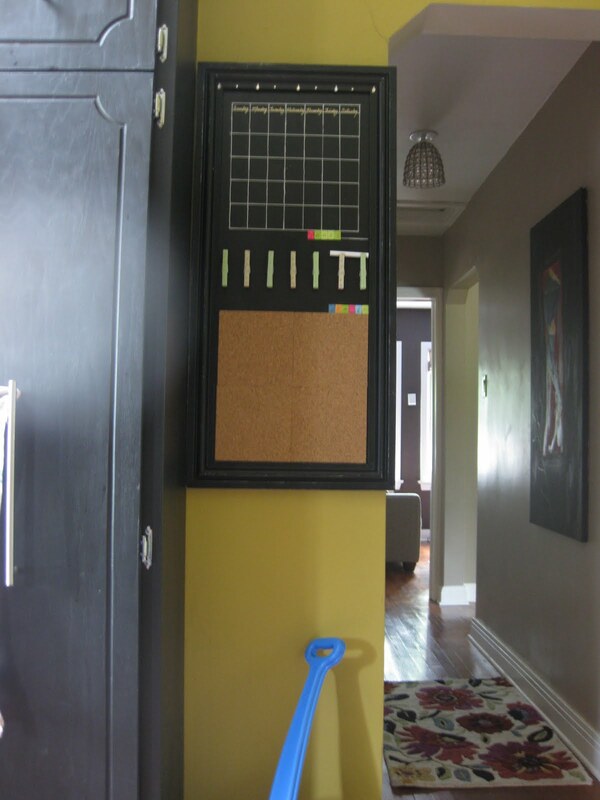 I don’t think that I have the patience for it but I’ve been seeing these amazing chalkboard calendars during linky parties over at ShabbyNest and they have made my whiteboard calendar look pretty crappy. I know. I know. I’ve mentioned this site before-what can I say. It is really helping me out right now with the choices that I need to make. I found one that I would really like but swooned a bit when I saw the $150.00 price tag. Gack! Suddenly I felt a bit inspired to make my own. 1) I started with a really ugly picture that had an attractive frame that I got from Homesense for a tenner. 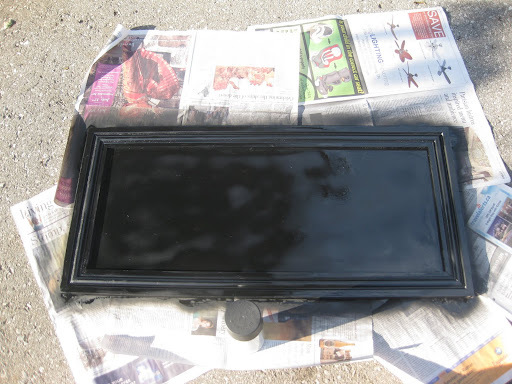 It was pretty quickly spray painted with blackboard paint. 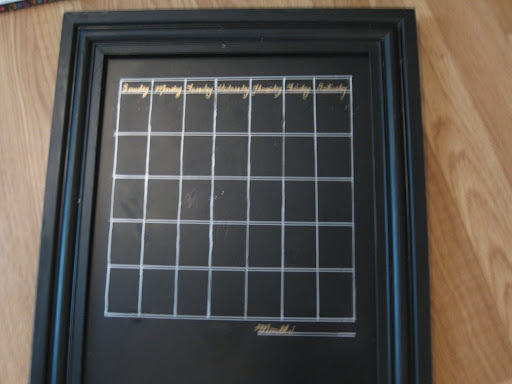 Thanks to http://redheadscraftmorefun.blogspot.com/2011/05/picture-frame-chalkboard.html for showing me the terrific idea of taking an ugly picture and just painting over the whole thing. BRILLIANT! 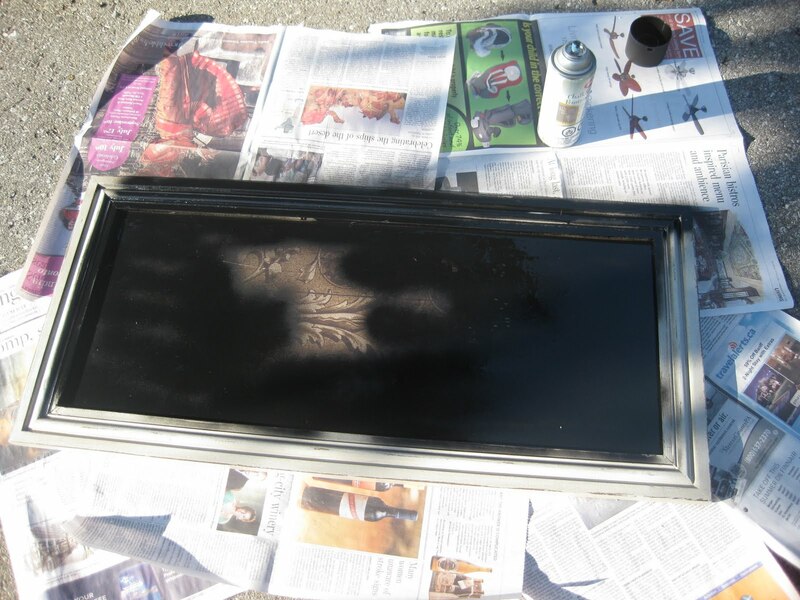 Three coats later, I scruffed it up a bit with sandpaper to give it a more aged look. 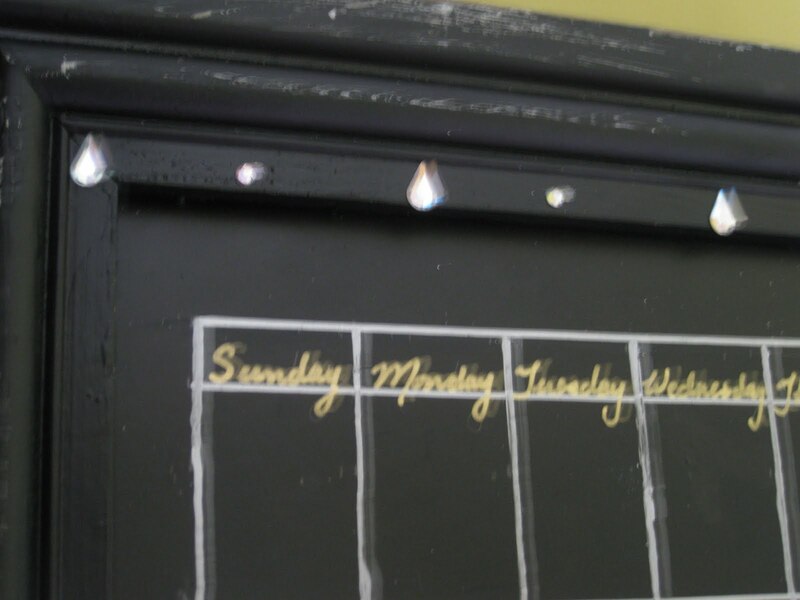 2) Inspired then by http://craptastickatie.blogspot.com/2011/05/magnets-its-science.html I used a silver Sharpie, paint pen and drew on a calendar grid. 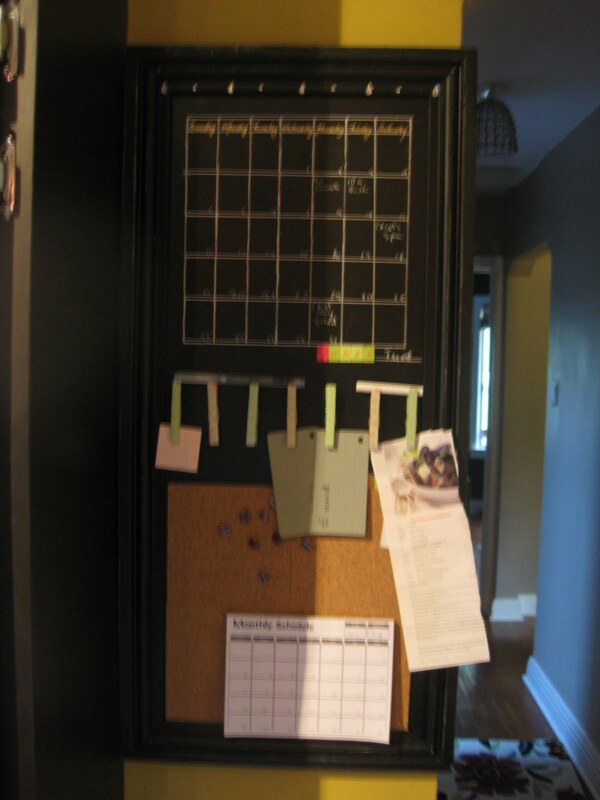 Especially right now with so many colours and fabrics etc being picked as we revamp the house, we need somewhere to stick bits of paper to so they don’t get lost so I added some corkboard squares. 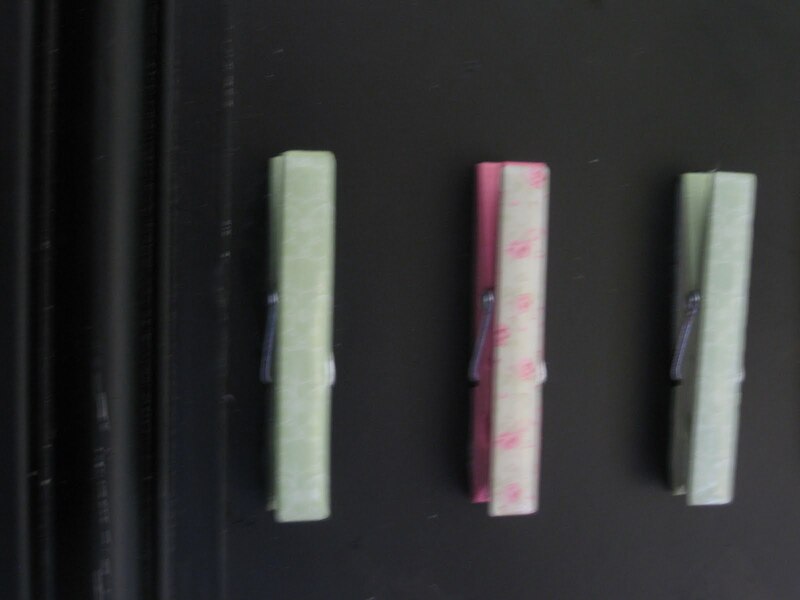 A bit of contact cement has these decorative clothespins affixed for good. 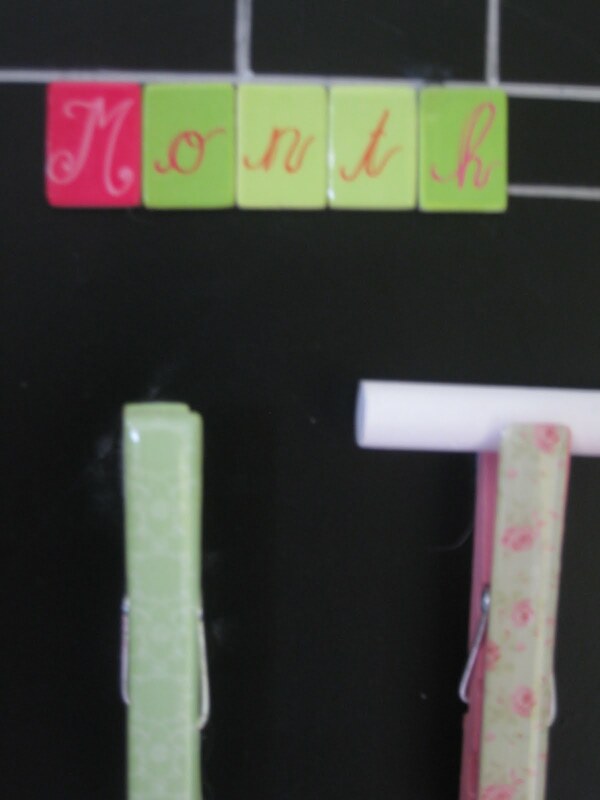 Sticker letters spell-out the month space. A few stick-on jewels, just because. 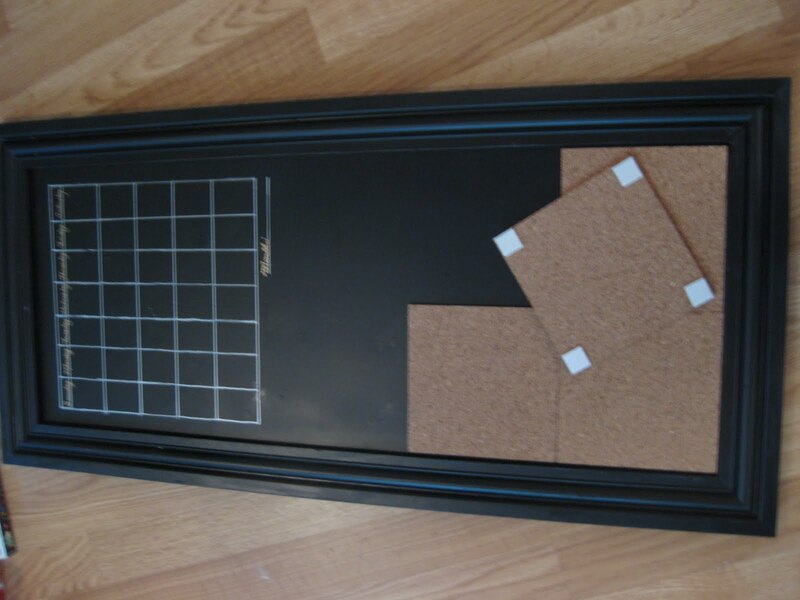 I even used a level to hang it up and it is totally tidy for about three minutes. Ummm…yeah. Still working on the photography.